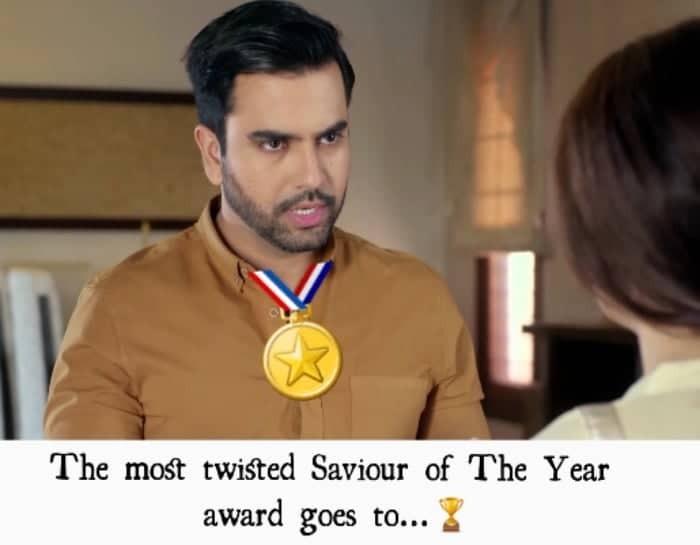 The most annoying characters of Pakistani dramas in 2018 were all those characters which got on our nerves, made us grit our teeth and clinch our fists! These characters were intolerable and tested the patience of the viewers. Most of them also repeatedly gave the viewers a lot of reasons to wonder what the writers were thinking while penning these characters down and why would any actor even choose to play these roles! Some of these characters were even more irritating because the actors playing these roles brought out the worse in them! Some of these actors literally sank into these characters and as a result made these annoying characters come alive on screen in all their glory! 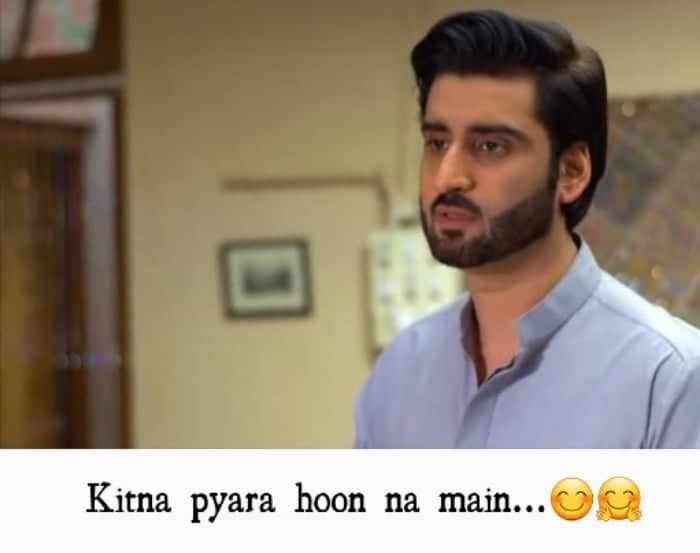 Here is the list of those annoying characters in Pakistani dramas in 2018 who tested the patience of the viewers. “Bewafa” hei magar “Mera” hei! Azra’s bechargi and her sadgi (read: bewakoofi) were two of the most annoying aspects of her character. 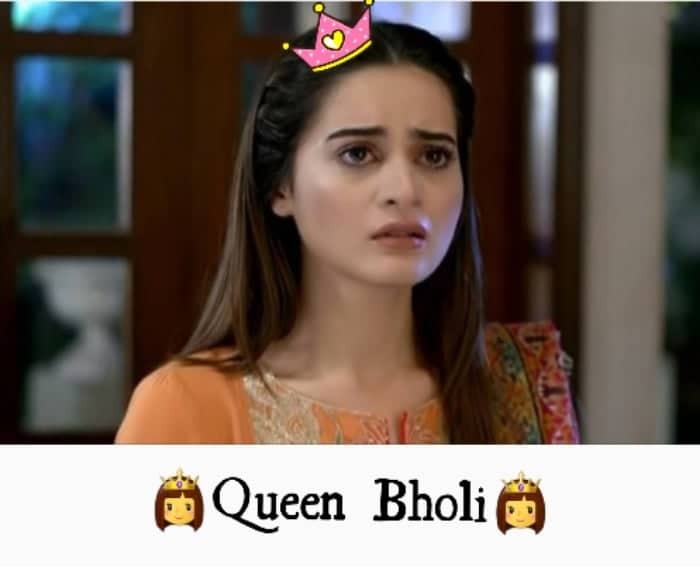 She was the ultimate victim who kept on fooling the viewers by giving them hope that she might actually make a sane decision but in the end like a gherulu mashriqi lrki with no self-respect whatsoever went back to her two-timing equally annoying husband. Azra’s character was even more annoying because she was shown as a sensible and intelligent woman otherwise but she spent most of her time crying and feeling bad for herself. Azra’s pity party was not fun to attend and made us cry more in the end for sitting through the torture than Azra did in 20 plus weeks! It was upsetting watching someone like Sarah Khan settle for a role like this. Meri bewafai nahi, meri khoobsurati dekhei! Yes! Agha Ali made sure that he invested tons of time and energy in looking like the perfect bewafa husband that ever was. Everything from his hairstyle to his shoes was always on point probably because this character had nothing else going for it! It can be safely concluded that the makers of this drama were convinced that if the hero looks good enough, the viewers, just like the leading lady will forgive and forget everything he did in the end. 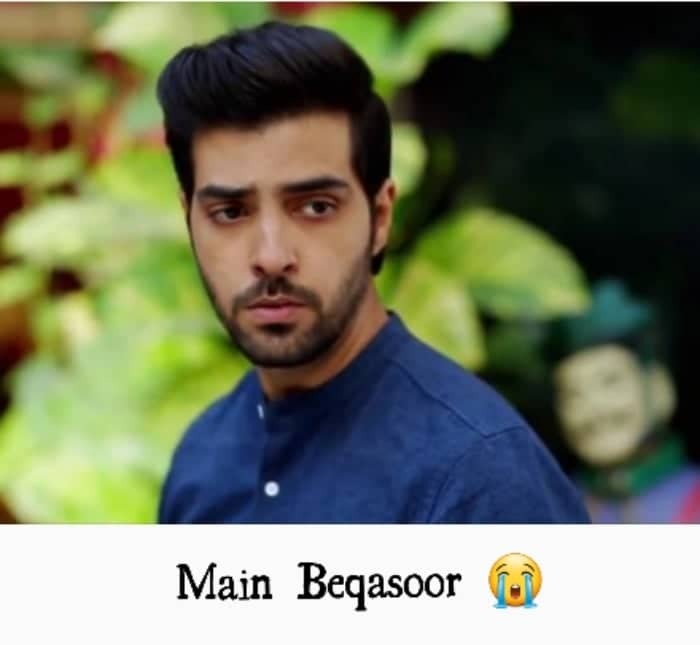 Shahmir’s character was the most pointless and conscienceless male lead we saw in our dramas this year. An overgrown man who acted like a toddler when it came to taking responsibility for his actions – this bewafa hero was terribly annoying! Azra might have fallen for Shahmir’s khoobsurati but we did not! Taking bholapan to a whole new level! Shafaq can easily be termed as the most dimwit heroine we saw on our television screens this year. Sweet enough to give anyone a cavity and stupid enough to give everyone who watched her on-screen a headache, Shafaq truly should go and claim her throne in Looney land. Shafaq took naivety to a new level which was impossible to relate to. She could not see the obvious for the longest time and even when she found out the truth about Anji, she always had the hardest time speaking for herself. Shafaq’s biggest flaw was her bholapan which was exaggerated to the limit. Her scenes were painful to watch and even though she was the victim, there were so many times when it felt like she totally deserved what she got! Sorry Shafaq, you are so thick, we can’t feel your pain! 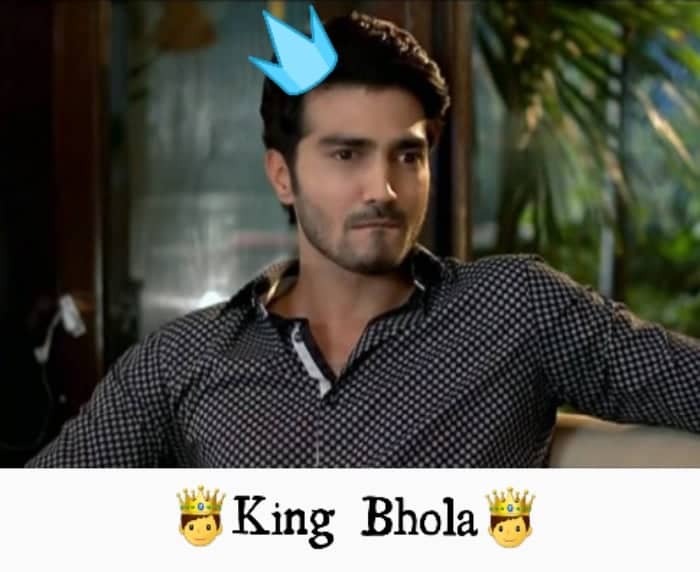 Mr. and Mrs. Bhola were a match made in Looney land! While Shafaq was bholi enough to trust Anji, Azar’s bholapan was the reason why he got trapped in Anji’s “trap”! These two taught the viewers a valuable lesson – whenever in trouble play bhola (read: the victim) and don’t ever take responsibility for your actions. Azar had an affair with Anji and conveniently blamed her for it. He asked her to live with him and told her to get out because log kya kaheinge! He was another one of those soft-headed leading males this year who put the viewers off completely. Spineless, useless, clueless and expressionless! 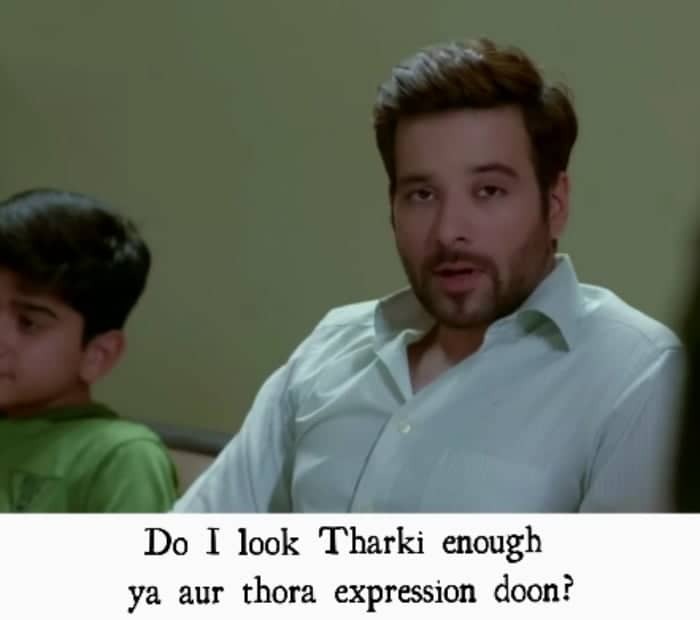 Arham was one of the most annoying supporting characters this year. His explanation for backing out from his commitment and his lame excuses throughout were terribly annoying. Thankfully, this was one character which the viewers were supposed to hate but he was also annoying to the limit nevertheless. Furqan Qureshi underplayed this character to such an extent that it lacked any personality whatsoever. Mirha’s character in Ishq Tamasha was a lot like Shafaq, the only difference was that Mirha’s twisted sense of morality and her holier-than-thou personality was even more annoying than Shafaq’s bholapan! 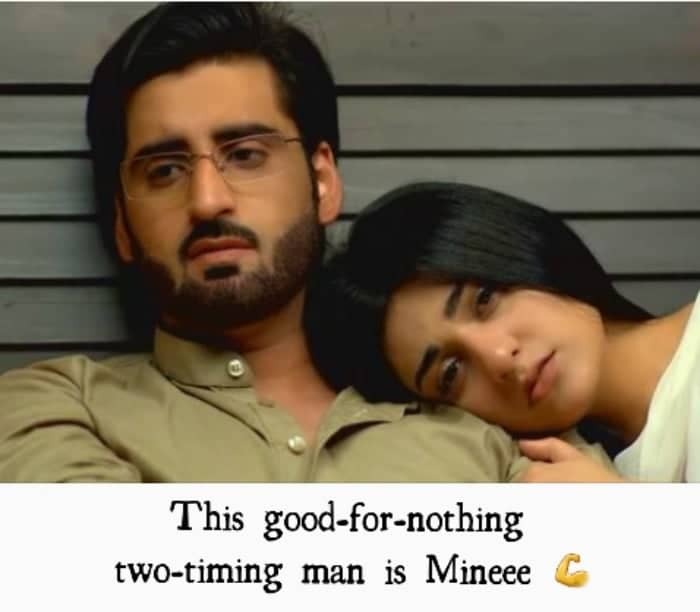 The way Mirha, the masoom meesni, lived in Mehrab’s house and looked after him but never acknowledged or showed her feelings for him made her one of the biggest hypocrites we have seen on-screen this year. Even though Mirha lectured Mehrab about being unfair and cruel to Rushna but in the end she was more than happy to have this rich and “good looking” man in her life. Right till the end she did not reveal her feelings for Mehrab which is why we can easily crown her as meesniyo ki malka! Yes! Who was Mehrab really? The savior or the sadist? A character which was graceful and intelligent in the beginning turned into an vengeful imbecile whose negativity was supposed to be “charming”!! Mehrab’s character took a turn for the worse when he decided to marry Rushna and after that he had no identity whatsoever. Mehrab’s character was the weird combination of an angry man with a rage but a “heart of gold” (not sure how!). Mehrab’s happy ending was the worst part of a play which did not have a lot going for it already! Sila was someone who had her priorities messed as well as mixed up. She was married to a devoted husband but it wasn’t enough for her, why? Because this Rani of Ranipur wanted to ditch her hometown and get settled in big city for the sake of her sons’ bright future. Being a mum of 2, she was so masoom to decipher Mohtasim’s flirtations and in her bouts of masoomiyat, she ended up flirting with him too. She was so over her husband that she fell in love with Mohtasim BHAI only because he had this wealth which he had borrowed from his wife. Even after getting the wealth she was after, her son and his bright future was the last thing on her mind, convenient much? Also, the fact that Sonia Mishal played this character made things even worse. This guy had everything rolling, he had everything working for him. He had a wife who loved him to bits, a son, a huge home and a luxurious lifestyle which he got as a reward for getting married to a wealthy girl but guess what, all he had to do was extend loyalty to his wife for all that she had done for him but he made it look like she was asking for too much. It was disgusting to see him flaunting and spending the wealth that belonged to his wife on other women. 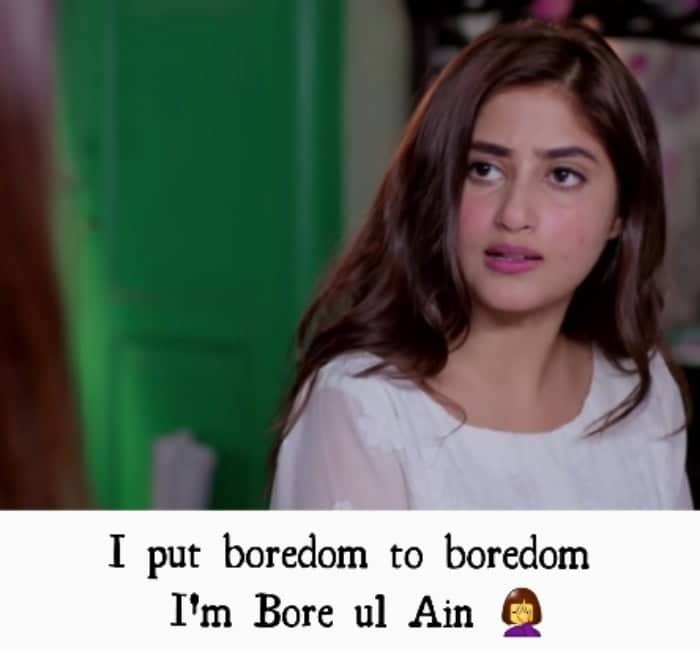 Bore-ul-Ain aka Noor-ul-Ain had no idea why she came to this world. She had no idea why she was born. She had zero concept of what being loyal to her parents meant, may be she didn’t even know they were her parents. Bore ul Ain had no idea why she fell in love. She also had no idea why and how did she get married to Khizar? It won’t be wrong to say that she was the most boring and annoying character that we got to see recently. Noor-ul-Ain was clueless to the core that is why she had no idea why she took such a huge step as she conveniently wanted to blame her Chachi for planning it all but it was good to see Ghazala outbidding and deceiving Bore-ul-Ain, this is what you get for being a toddler at the age of 20. Be it her overall persona or those strands that were curled to look like one – she was a snake of the house who had taken a form of a human being in Sultan Mansion. Zamani didn’t know how to mind her own business and she fed a lot onto the negativity. 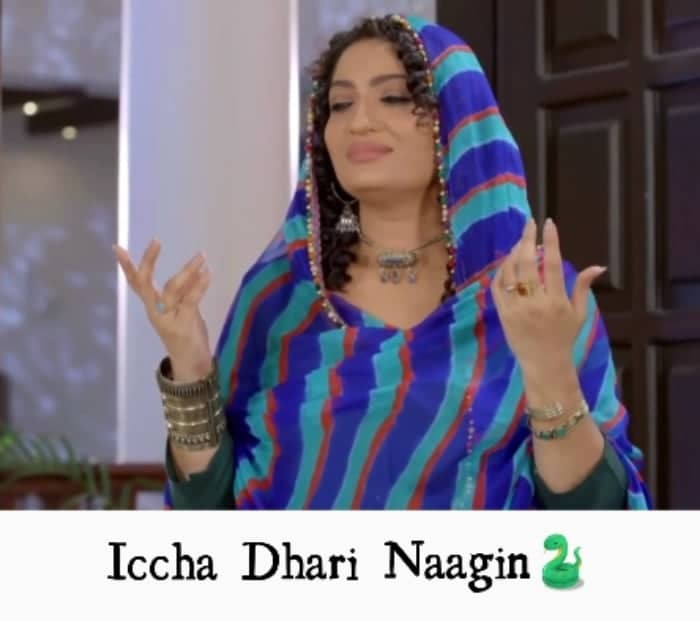 She was so annoying that she sent shiver down viewers’ spine everytime she came on screen. Zamani was the reason why things always went wrong in that house and the fact that she planned Zulekha’s murder made her deplorable. Also yes, she sent a snake to murder Zulekha which seals the deal that she had a strong connection with snakes! Laali Ma was a picture of all those mum in law’s who feed onto negativity and feel this complex and jealousy from the newly wedded brides. Laali Ma took zulm to a whole new level and not to forget, all those norms and customs that she held onto basically using as an excuse to make Samra’s life far more difficult than it actually was. In the end Laali Ma did justify her wrongdoings by saying she was taking the brunt of her unfulfilled wishes on Samra but then again, is that even fair? How annoying! The girl who was introduced as an opinionated individual who questioned her husband’s intentions and feudal mindset every step of the way became this silent sally whose only activity for a good period of the time was to to climb up and down from the staircase. Samra accepted everything that Laali Ma put her through which made her becharapan look forced and coerced. 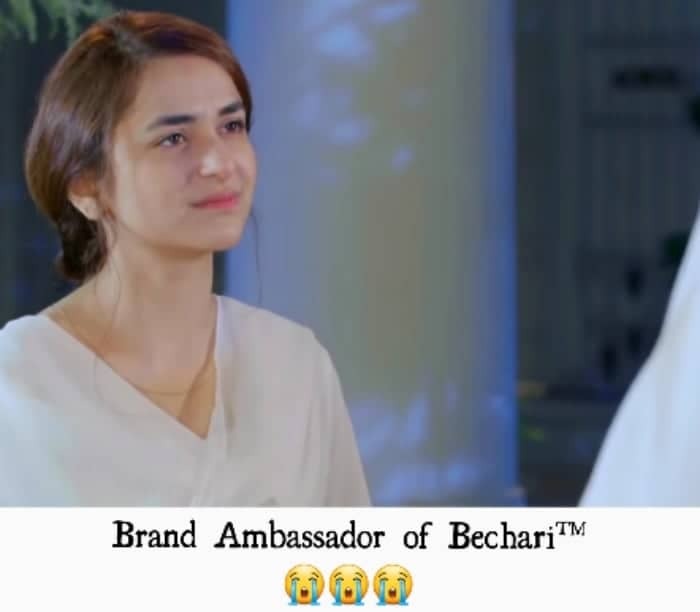 Samra could have taken a stand for herself at least but she chose not to because she seemed to be enjoying her position of being a brand ambassador of Bechari™.